"Provide users error free and free of hassles conversion"
EML and PST, both are two different file extensions that stores data of email clients. Personal Storage Table (PST) has capacity to store Contacts, Notes, Messages, Emails, Events and Calendars of MS Outlook only. EML also stores all send and received Emails, Notes and Calendars of Apple Mail, WLM, MS Outlook for Mac and multiple other email platforms. EML doesn't support MS Outlook for Windows. This is the reason that needs conversion of EML to PST. Manually, you cannot export EML file to PST but a third app like EML data to PST Exporter will let you gain the result. NOTE: Compatible for all major editions of Windows like XP, Vista, 10 and 8. File Filter Feature to achieve desired export results. The software has capacity to transfer EML to PST by selecting user's specified EML files. It has "Search" tab to filter those EML files that you would actually like to export. Batch migration assistance is offered. "Time is money", keeping the important line in mind, the exporter has been designed to perform batch conversion where you can select a folder holding multiple EML files for export to PST. Uninterrupted data migration is gained. 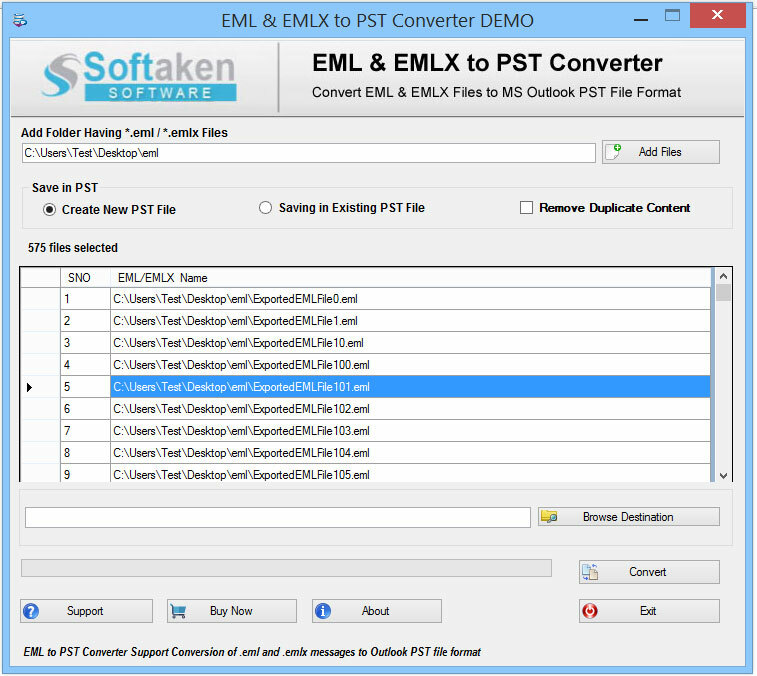 Transfer EML to PST without any interruption. The advance tool reads and exports every items of an EML file. During export, it retains the hierarchy order of items and content quality. The export result you have earned is somewhat like copy and paste of data. Export only those EML files that have no corruption. Corrupted EML files are not read by the export tool. If you would like to export corrupted EML data, repair it first and then export EML to Outook PST with the help of this app. Export EML data to a new PST file. It allows you to save the exported data to existed PST files as well. Users have freedom to choose their desirable PST file to save exported information. 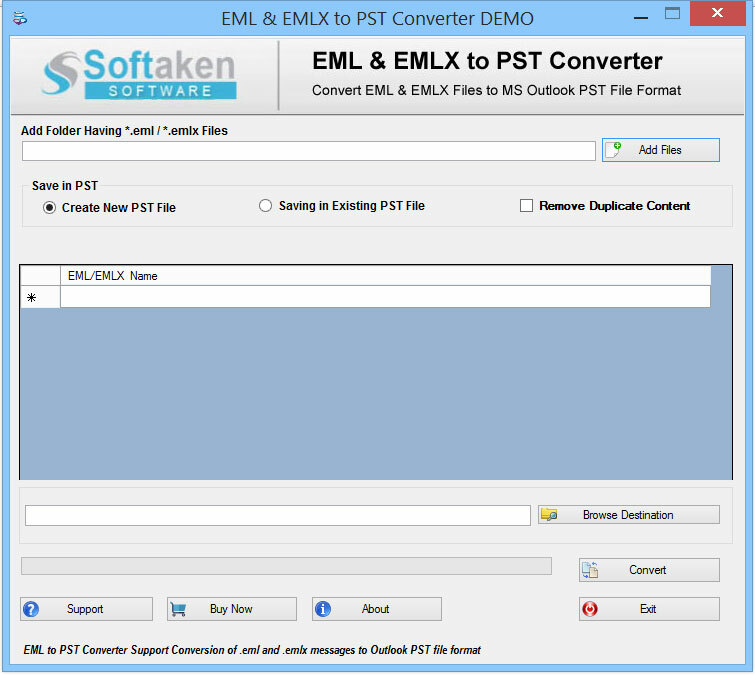 Free trial of EML to PST converter is ready to install. The free tool helps you examine the key efficiencies of the software. You can able to decide the version is suitable for you.